In Hiiupits handicrafts shop the items are all made by people living in one of the islands of Estonia – Hiiumaa. There are beautiful clothes, which are decorated with lace, scarves and gloves, little angels and other accessories. In order to decorate the textile, the folk costume laces of Pühalepa and Reigi parishes are used. 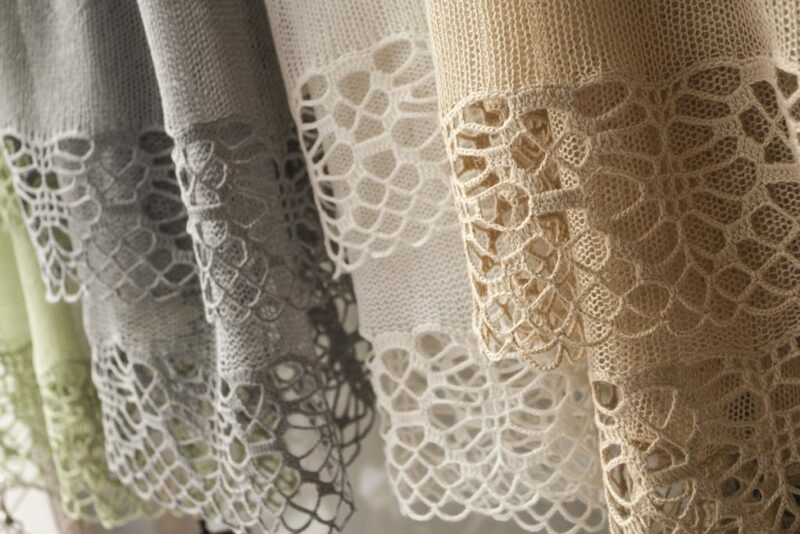 Hiiu lace is a type of crochet which started spreading from the 19th century from Hiiumaa island. It creates certain pattern to the right of the lace and has long chains in its pattern which make the crochet fluffy. In this way are made the laces of Reigi and Pühalepa parishes. Laces are mostly part of cotton aprons and sleeves. During the 19th-20th century young ladies living in different parishes started to prefer home made lace crochets instead of laces made in factories. The way how Pühalepa laces were made strongly affected clothes of other parishes as well.